Game of Thrones fans have been living off scraps for over a year and a half now, but the long wait for answers is finally over. 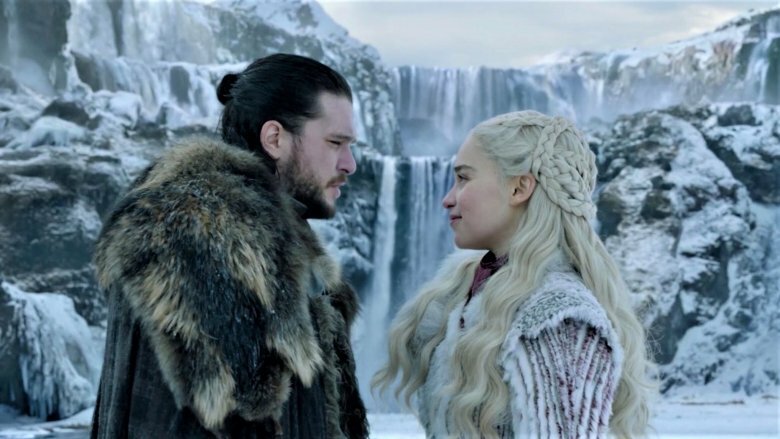 The eighth and final season of HBO's high fantasy juggernaut got underway in April 2019, and the arrival of winter in Westeros did not disappoint. The Twittersphere always experiences a swell in activity during a Game of Thrones episode, and users were, of course, out in full force for the highly anticipated season 8 opener. There were several huge moments in the episode, which created an instant torrent of memes, some of which were posted by celebs. The rich and famous have been reacting to Game of Thrones season 8 along with the rest of us, and judging by what's been said, they're just as in to it. Also, and this should go without saying, but clearly, this post is full of SPOILERS. If you aren't caught up on all things GoT right now, turn and run like the Night King himself is chasing you. There were a ton of huge reunions in the season 8 opener, many of them involving Arya Stark (Maisie Williams). She got to see her beloved half-brother (at least she thought he was her half-brother) for the first time in years, but perhaps the more interesting meet-up was with Gendry (Joe Dempsie), who the Stark girl rolled with back when she had to escape King's Landing. She was just a child back then, but she's a grown woman now, and she's got a thing for Gendry. 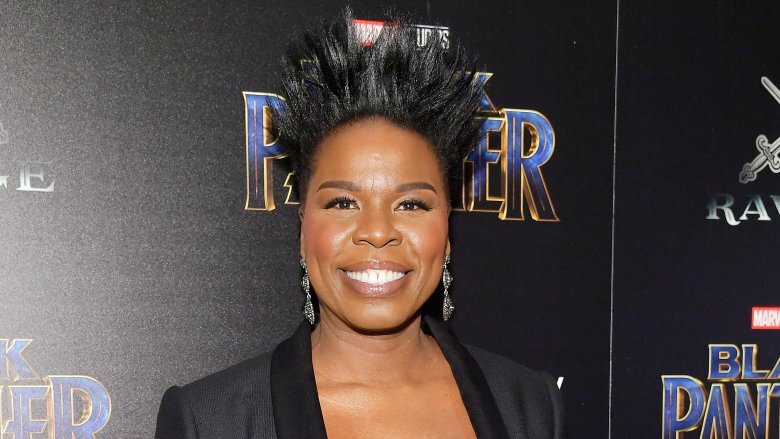 At least, that's what many on Twitter are hoping, Leslie Jones included. "I ship this," the Ghostbusters star said in a video clip. "I ship this a lot. They like a perfect little match, huh? And they both done been through some real s***." If Kevin McAllister was left home alone nowadays, he wouldn't be watching old gangster movies, he'd be binging Game of Thrones before his family got back. 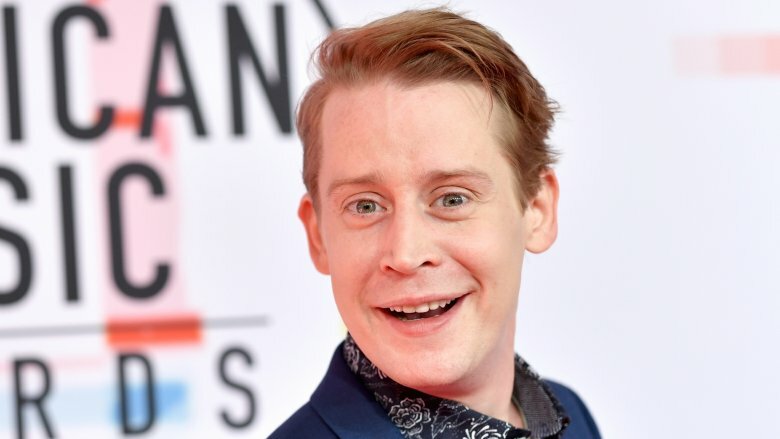 Former child star Macaulay Culkin is a big fan of the HBO show, and he teased his Twitter followers by pretending that he'd made a cameo in the season 8 opener. "Did you see my cameo on last night's Game of Thrones?" he tweeted. "I was a dragon." The tweet itself was a little bizarre, but it was worth it for this reply from Sarah O'Connell alone. It might come as a surprise to learn that not everybody enjoys Game of Thrones, but it's true. Crazy, right? Supermodel and TV personality Chrissy Teigen is one of those people. She cares so little about what happens in the final season of the show that she dared to talk during the premiere, forcing husband John Legend to eject her from his viewing party. Teigen used a pair of scissors to pick the cinema room lock, but she was soon booed out of the room. "I honestly thought it was the last episode ever or something, I've never seen humans so collectively excited," she tweeted. "I am happy for you I really am. Excited to find my Game of Thrones one day." One of the running jokes of season 7 was the fact that Bran Stark (Isaac Hempstead Wright) doesn't do much besides stare nowadays. Ever since he became a greenseer (gaining the ability to see both the past and future) he's been a bit of a drag, but his deadpan staring in the season 8 opener made for some hilarious memes. Bran's stand-out scene in the episode was the one in which he came face to face with Jaime Lannister (Nikolaj Coster-Waldau) for the first time since the Kingslayer pushed him from a tower window way back in season 1, crippling the boy. 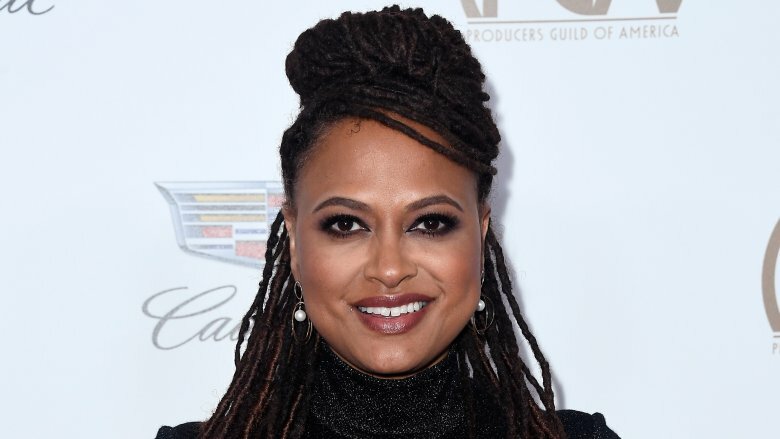 Ava DuVernay couldn't help but join in with the Bran-Jamie memes. In fact, the director was on top form, also poking fun at the big Jon Snow reveal as well as his kiss with Daenerys. Had Games of Thrones been adapted for television a few years earlier, Reese Witherspoon could well have been up for the part of Daenerys Targaryen, which ultimately went to fellow diminutive blonde, Emilia Clarke. 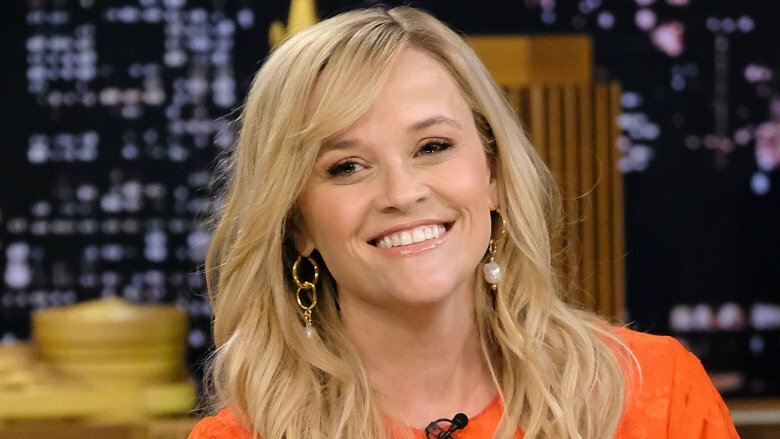 Witherspoon is apparently a big fan of the Mother of Dragons, as she made a clear with an excited tweet a few hours before the first episode of season 8 aired. "Have a very important date with my couch tonight," she wrote alongside a meme of the Night King dancing. "Excited is an understatement!!!!!" She ended the tweet with #MotherofDragons, making it clear that she wants to see Dany sitting on the Iron Throne come the finale. 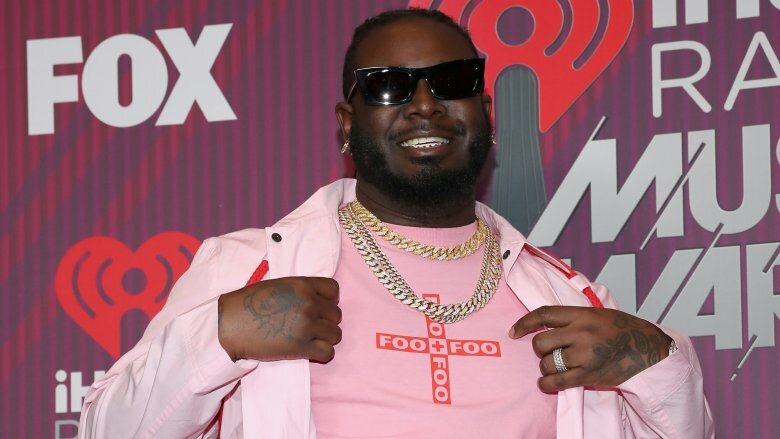 If you're looking for some excellent Game of Thrones commentary over the course of season 8, look no further than T-Pain's Twitter feed. The rapper, singer and producer live-tweeted throughout the season 8 premiere, and he had his followers hanging on his every word. "I feel like that scene was a little short," he said in one tweet. "We didn't even get to see how much s*** was in Jon's pants." All in all, however, he really enjoyed the opening episode and promised to live-tweet the next one. "Great f***in' premier," he said. "Loved it. See y'all next week!!" The relationship between Arya and Gendry came to, uh, fruition on the second episode of season 8. Facing possible death, Arya decided it was now or never and decided to lose her virginity to the blacksmith — not without a pre-interview first. 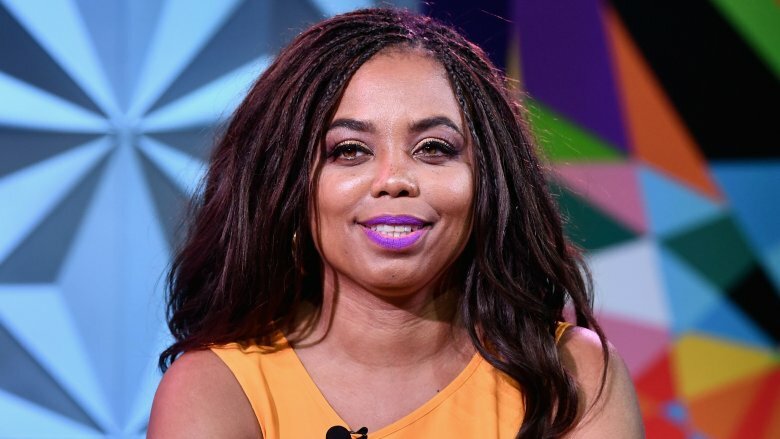 "Still laughing at the fact that Arya hit Gendry with the, 'I just think it's funny how…' about other women before getting her freak on with him #DemThrones," The Atlantic writer and former ESPN host Jemele Hill tweeted. 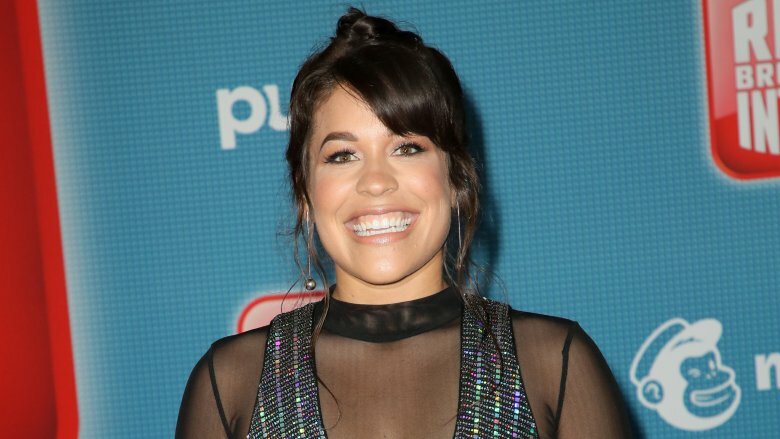 Just because she stars in a Disney move doesn't mean actress, writer, and podcaster Dani Fernandez isn't going to keep it real when reacting to the decidedly not-Disney fantasy epic. The Ralph Breaks The Internet voice actress offered her blunt assessment of THAT scene between Arya and Gendry, tweeting, "Kinda overwhelmed that Arya f****d on Easter and I didn't." Seriously, someone cover Mickey's eyes. The love triangle that Tormund wishes was the love triangle between him, Brienne of Tarth, and Jaime Lannister, got a little awkward in the second episode of season 8. 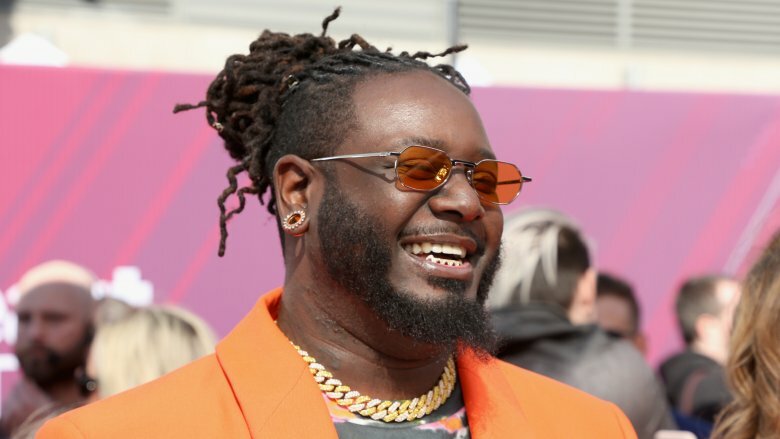 And T-Pain live-tweeting of the show continues to be the gold standard of commentary. "They just need to go ahead and whip out the rulers right in front of brienne because way too much big d**k energy in that room #got," the rapper tweeted.